Before the end of 2008, at least 30% of all algorithmic order flow will be sent through customised algorithms, up from 18% today, finds a TABB Group research note. Before the end of 2008, at least 30% of all algorithmic order flow will be sent through customised algorithms, up from 18% today, finds a TABB Group research note. 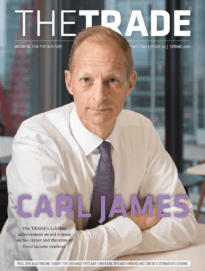 As brokers continue to offer customisation services and modularised solutions to a broader range of clients, buy-side traders are gaining more control over the management of different electronic trading components. According to Adam Sussman, senior research analyst at TABB Group and author of the research note, entitled, 'The Modular Algorithm: The Growing Choice in Buy-side Execution Strategies,' the buy-side's use of 'canned' algorithms, pegged at 58% in 2005, will account for less than half of all algo flow by 2008 because "the current usage of various algorithms and DMA tools is not the ideal state for the buy side, but rather the optimal selection based on its current options." For algorithm providers, customisation can be a way of both re-engaging buy-side clients on a personal level - to make up for the replacement of the telephone with FIX and the tightening up of corporate entertainment rules - and differentiating their brands on what is becoming an increasingly crowded shelf of products. "This is a buy-side issue because what traders really want," Sussman adds, "is a tool that allows them to control an order using a wide range of variables, and which permits them to map the portfolio manager's objectives into an executive strategy. This means an algorithm with a true sense of purpose. Instead of merely wanting all the data they look at to be incorporated into an algorithm, they want the algorithm to look and react to the data in a specific way." Another result of the growing choices among buy-side execution strategies is a steep decline in the amount hedge funds are willing to spend building execution-only algorithms. "The bare minimum today to build an algorithmic infrastructure," says Sussman, "is $1.3 million with recurring annual costs of $900,000, with personnel costs accounting for nearly half of that cost." In 2005, he adds, hedge funds had little choice but to build their own algorithms. However, with the advent of customisation services and modular technologies, proprietary algorithmic usage will decline from 88% of all hedge fund algorithmic flow to 67% by 2008, predicts Sussman. 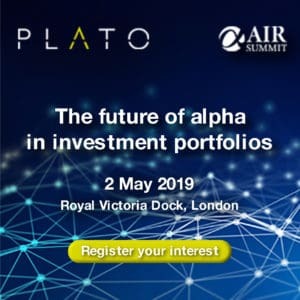 Some quantitative hedge funds have chosen to split scheduling and routing responsibilities, with the scheduling component kept in-house, because the decision of when to route is dependent upon proprietary data such as the expected alpha among a list of stocks. "These funds are outsourcing routing decisions to their brokers. The latest generation of algorithms automates this functionality through the use of a 'would' option that trades according to a participation strategy but would simultaneously hunt for additional liquidity among dark pools," explains Sussman.